Daughter are a London trio (albeit with members from France and Switzerland) who have released a few excellent EPs, and at the end of April released their debut album If You Leave. The band started with just singer Elena Tonra doing her solo thing, but in her quest to expand her sound recruited Igor Haefeli on guitar and Remi Aguilella on drums. 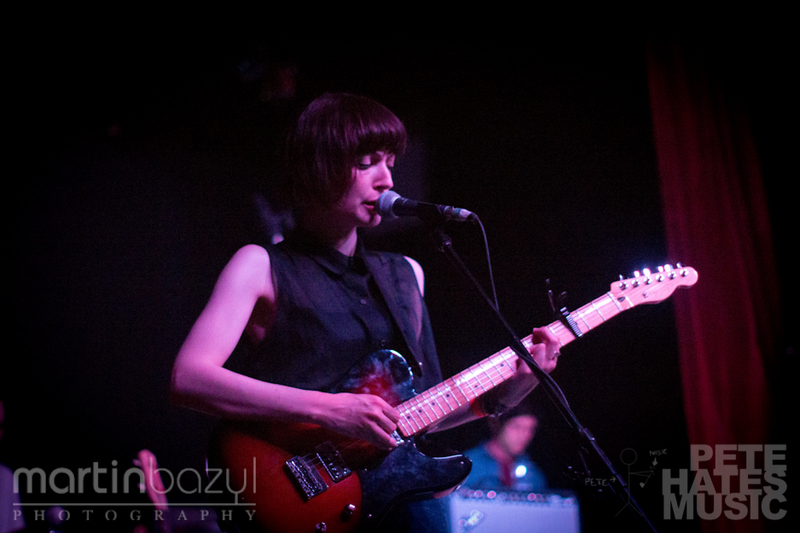 Daughter are playing a headlining tour across North America right now in support of If You Leave. The band stopped by Toronto last week and were kind enough to chat with PeteHatesMusic before their show. Check out the interview below, in which we discuss being bad luck hockey charms, one word song titles, and the future direction of Daughter. If you liked that interview, check out the interview that we did with CHVRCHES, in which Daughter is name checked by singer Lauren Mayberry. For more interviews, concert reviews, and general awesomeness a) “follow PeteHatesMusic on Twitter” and b) “Like PeteHatesMusic on Facebook“. It might be the best decision you make all day (note: highly unlikely).